Look and Feel is Very user Friendly. 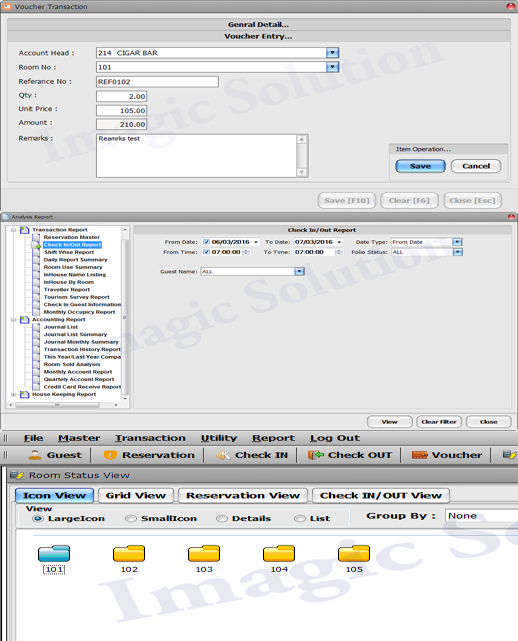 Manage User by one click, Multi User Facility. Season Wise Rate Management Facility Like Holiday Rate Type, Christmas Rate Type, Summer Rate Type and Other Festival Rate etc. 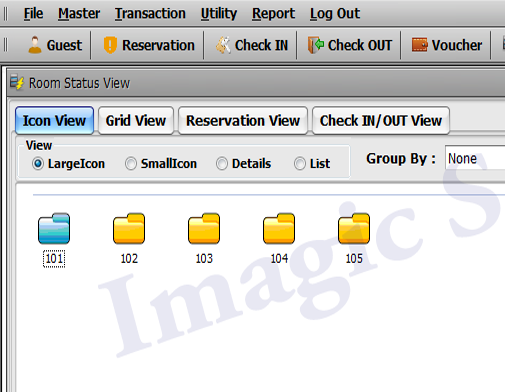 Dashboard is gives 4 Different Type Room Status View Icon View / Grid View / Detail View / Date Wise View. 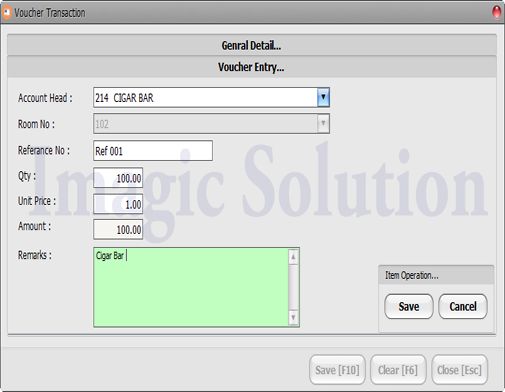 POS Integrate Laundry Service, Food Service, Cigar Service and Many More, Post Service Charge with Guest/Room Wise, Charge Additionally Phone Call. No Limited to Create Housekeeper with Detail, Manage Separate Service Charge for Housekeeper, Daily Task List For Housekeeper. Create Account Groups, Account Sub-Groups and Account, Option For Apply GST Tax, Service Tax Account Wise, Option For Hide Tax or Display Tax Account Wise. 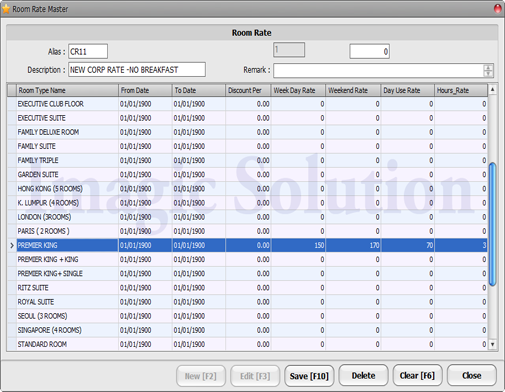 Hotel Management Software is an Windows base application use by businesses to automate their day-to-day operations such as Room Bookings, Reservations, Check-In or Check-Out, Hotel Reservation Software is developed for suitable works of the following types of accommodation like Hotels, Guesthouses, Cottages, Villas, Cabins etc. 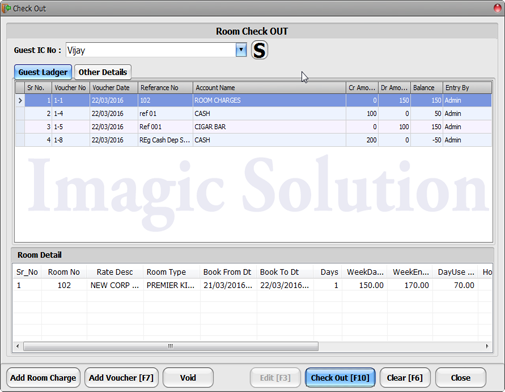 Imagic Application includes all the features required in a Hotel Management Software such as Hotel Reservation, Customer Check-In, Customer Check-Out and provides integrated report for all Customers. 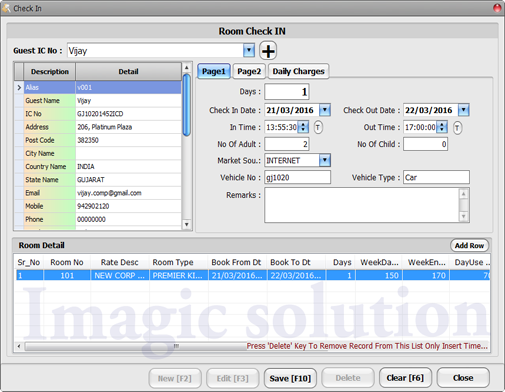 Our software is designed to help administrator or operator to track all check in or checkout status with just one mouse click. Many Payment Option Like Cash, Cheque, Card, City Leader, Traveler, Company Bill Etc.. Detail Report for Current Status of All Rook like Check-In, Check-Out, Dirty, Occupied, Block etc..
Master Reports Like Guest Detail, Account, Group, Sub Group, Room, Room Rate, Room Type, Product, City, Country, Housekeeping etc.